Recommended for use with standard plumbing systems in buildings up to 4,000 sq. ft. with tank water heaters. Or pipe runs up to 100 lineal ft. between a tankless water heater and installation location of the D'MAND KONTROLS® System. 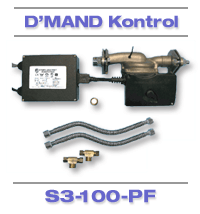 The D'MAND Kontrols® S3-Series converts standard plumbed homes into D'MAND Kontrols® Systems. At the push of a button, the S3-Series pumps cold water sitting in the hot water line into the cold water line and back to the water heater. 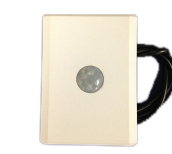 The "temperature sensor" automatically shuts off the pump allowing the pump's IFC (Integral Flow Control) Valve to close when hot water arrives at the fixture. Now you have hot water within seconds at the fixture and anywhere else plumbed off of the main line. The S3 series models are recommended for use with standard plumbing systems in buildings up to 4,000 sq. ft. with tank water heaters. 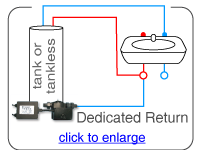 Or pipe runs up to 100 lineal ft. between a tankless water heater and installation location of the D'MAND KONTROLS® System. The patented PDV (Check Valve) is built right into the pump housing, reducing the number of external devices. 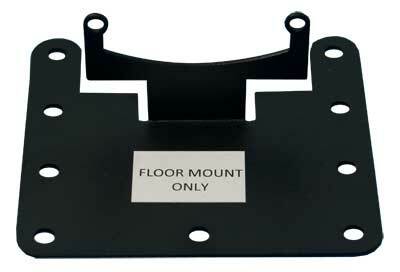 It is suitable for runs up to approximately 120 feet. 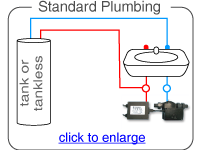 The S3-100-PF Series D’MAND Kontrols® Systems can be used with both tank and tankless water heaters on standard plumbing in existing homes, new home construction or light commercial applications. 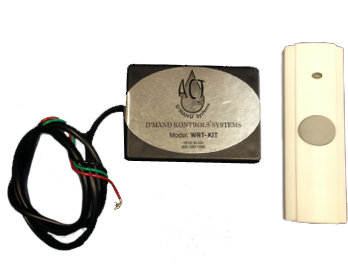 At the push of a button, or with a motion sensor in place, the D’MAND Kontrols® System activates and pumps the ambient (cool) temperature water back to the water heater saving both water and energy in the process. When the hot water arrives at the D’MAND Kontrols® System, the built-in thermistor automatically shuts the pump off and closes the IFC Valve. Now you have hot water within seconds at the fixture and anywhere else plumbed off the main line.